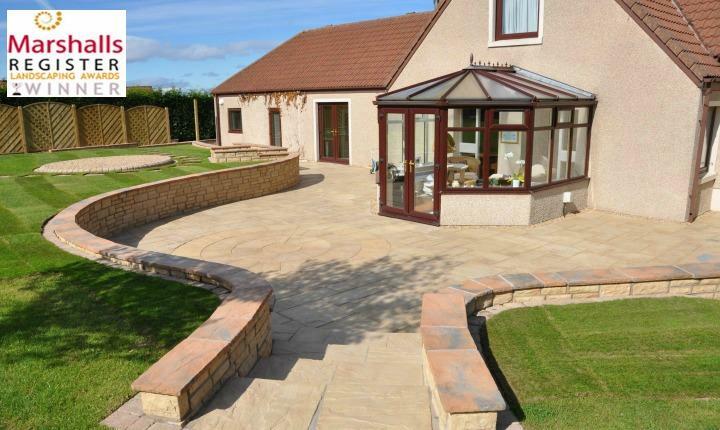 This landscaping project took us to the beautiful town of St Andrews. 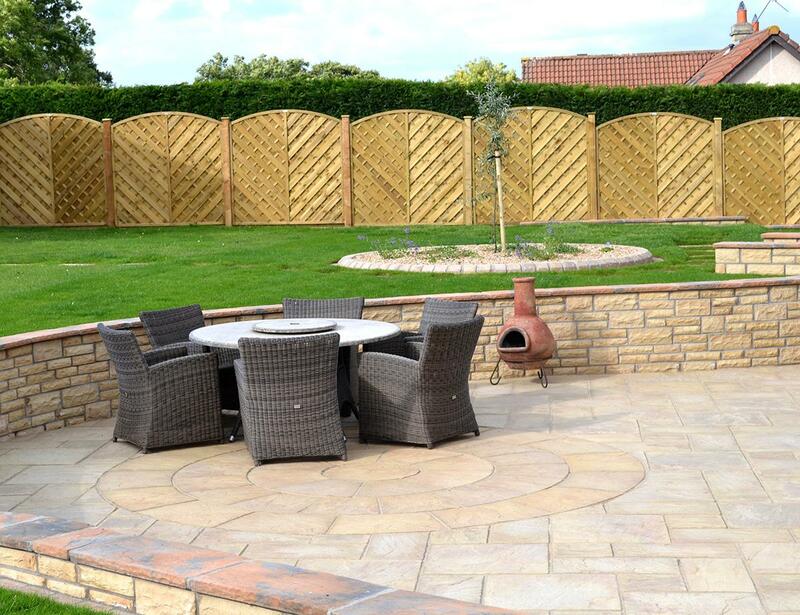 The brief was to re-design the large rear garden which was looking tired and in need of some modernisation and TLC from our team, with low maintenance in mind. 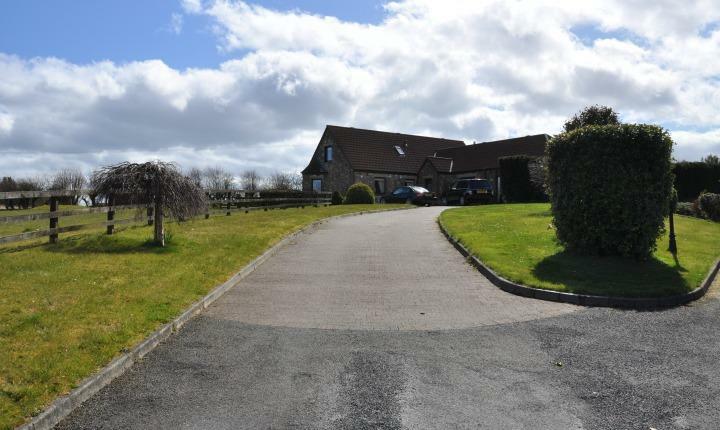 The front entrance and driveway was also to be re-designed and in keeping with the family home. 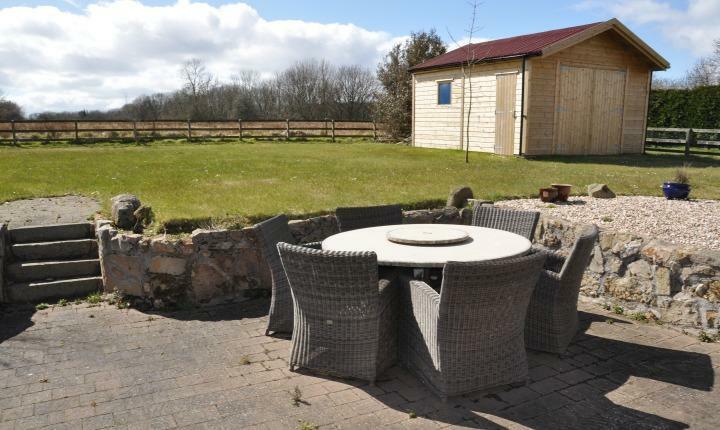 The existing rear garden consisted of a tired paved area with lots of gravel areas with weeds peering through and an old stone wall which was falling to pieces. There were paths leading around to the front of the property to the existing block driveway. The objective was to re-design the large rear garden creating a more modern feel and refreshing the look and feel of the garden space. 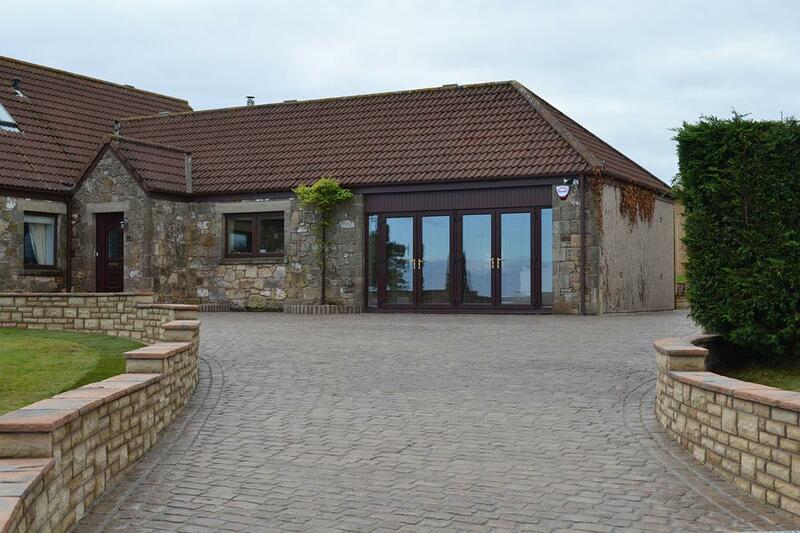 The front entrance and driveway was also to be re-designed to tie in with the look and feel of the property. For the rear of the property our main objective was to design and create a new seating area and paths around the rear and sides of the property. The existing wall was to be replaced with a new retaining wall. 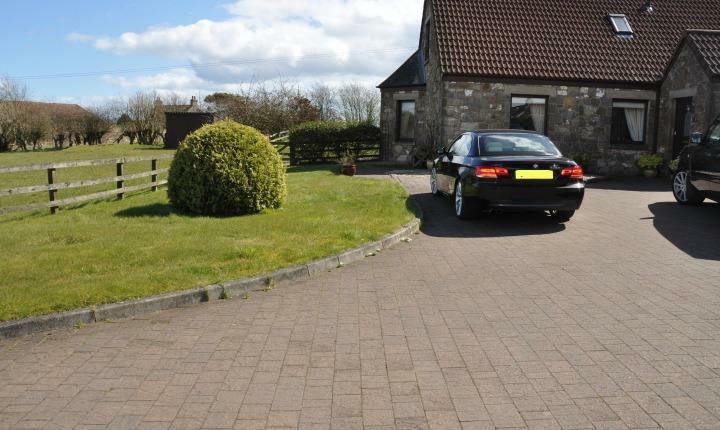 The front of the property was to incorporate replacing the tired block driveway with a new Cobbletech driveway. New walls were constructed using Marshalls heritage yorkstone walling with contrasting calder brown copes. The new patio and paths were laid using Marshalls heritage yorkstone paving and edged with tegula kerbs. The paving chosen comes in a variety of sizes and the customer chose to include active shield protection. Stepping stones lead to a quiet area in the garden where a paved area was created for housing the hot tub. Existing fences were replaced with new panel fences really smartening up the boundary. The pond was be replaced to tie in with the new patio area. Marshalls Cobbletech patented driveway system was laid, Cobbletech creates a realistic, antique cobbled look with a beautiful finish and really compliments the style of the property. Finally, planting was introduced throughout the garden which included a mixture of shrubs and ground cover plants and finally an avenue of cherry trees planted from the driveway entrance up towards the property. 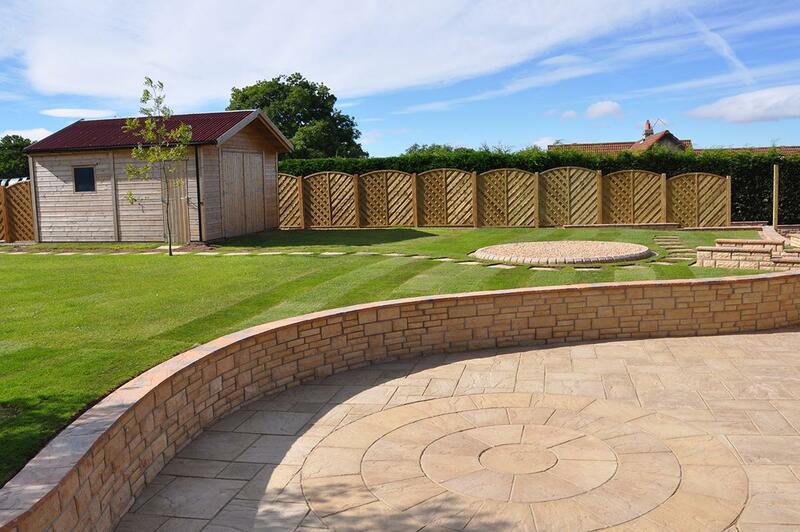 This project encompasses a great choice of materials which work well together in the design, creating a fresher feel and adding shape and interest to the garden. 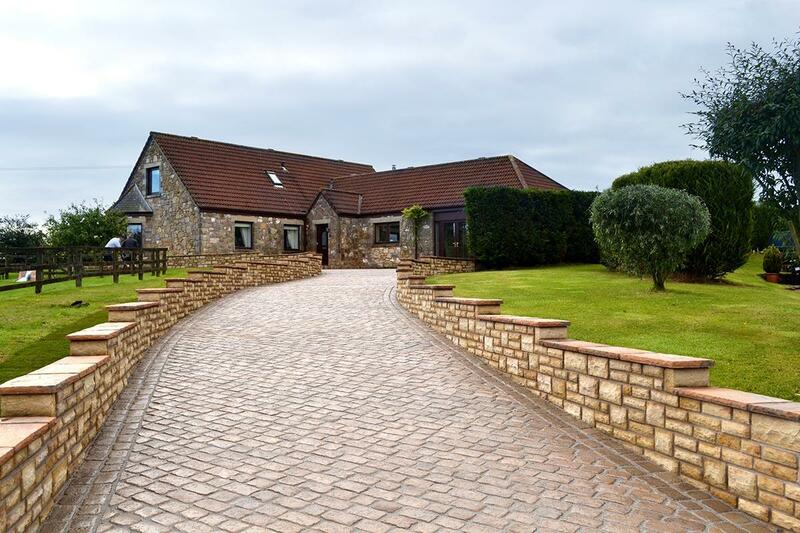 The new driveway sees a real transformation providing a stunning yet practical entrance to the property and our project won an Award from the Marshalls Register of Approved Landscapers for "Best Large Driveway Transformation". Planting adds the final touches to the project adding colour, softness and texture to the garden.